On NASA's InSight Mars lander a temperature probe nicknamed "Mole" is designed to hammer itself 5 meters into the ground and measure the temperature of the martian regolith at different depths with temperature probes mounted in its cable (Science Tether). I found this very interesting PDF on how the mole hammers itself and how temperature is acquired. There's also a video of it hammering itself into a regolith analog here on earth. Question: How does mission control decide where to place the "Mole" module? How can they ensure that it will be able to burrow to the full 5 meter depth without hitting some sort of hard rock or bedrock? At a post launch interview, one of the scientists talked about this and said that they worked together with many college students to analyse impact craters where the depth of regolith and bedrock layer can be seen. They then chose a site where they're pretty sure they've got at least 10 meters of sandy/dusty regolith with few rocks. Not the answer you're looking for? Browse other questions tagged mars regolith insight or ask your own question. How will the Mars One landing site be chosen? How does one get the exact location of imaged features on the surface of Mars? How does a Mars lander reach a chosen landing site? 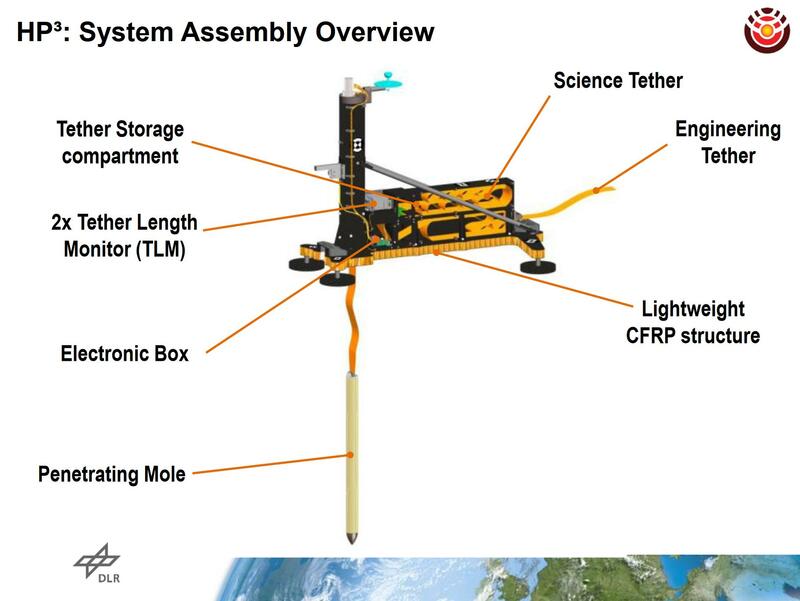 Will the Insight seismometer use the deployment of the Heat Flow and Physical Properties Probe as a known impact source for sounding purposes?